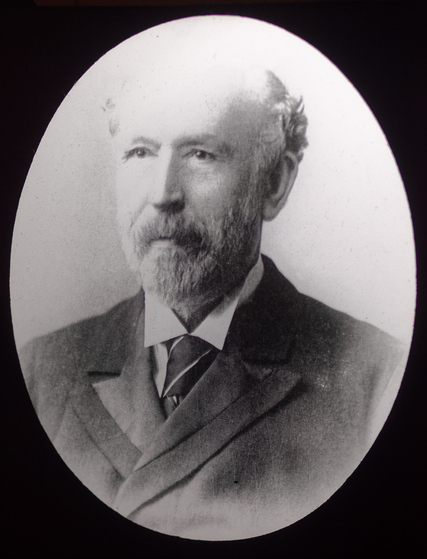 Dr. Taylor was born at Yetholm, Roxburghshire, in 1829, and came to reside in Cardiff in 1833. He received his early education at Mr. Burnett's School in Charles Street, and afterwards at Long Ashton School, Bristol. Thence he proceeded to Edinburgh University, where he took the M.D. degree in 1855. In 1856 he was appointed House Surgeon at the Cardiff Infirmary, in 1857 he became Surgeon, in 1882 Physician, and in 1896, Consulting Physician. For many years he was a member of the Corporation of Cardiff, and in 1877 was elected Mayor. He took a deep interest in the Free Library, Museum, and the Science and Art Schools almost from their foundation, and was for some years Chairman of the Committee. 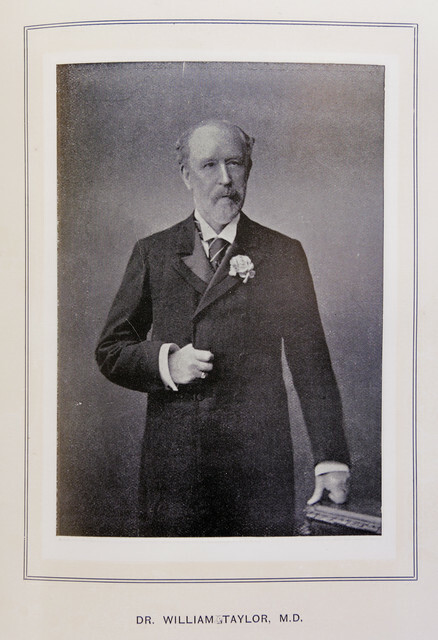 In 1880 he was one of the promoters of a very successful exhibition which was the means of raising a considerable sum of money for the purpose of equipping the new Free Library, Museum, etc. building. For many years he was Chairman of the Licensing Magistrates, an office which he retained until his death. As Chairman of the Cardiff Gas Light Company, of which concern his father-in-law, Alderman Lisle, was the original owner, he was held in high esteem. 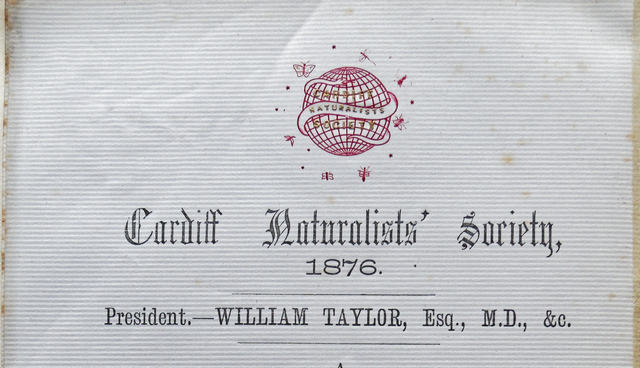 Dr. Taylor was one of a small party of 24, who in September, 1867, being desirous of extending the study of Natural History in Cardiff and its neighbourhood and of forming a local Museum, decided upon founding "The Cardiff Naturalists' Society;" three out of this number still remain as original members of the Society. Dr. Taylor rendered very important services to the Society, saving it probably, at a serious crisis, from disaster. In 1871, the Society fell upon evil times, the late Hon. Secretary, Mr. C. Bradley, had employed as Collector of the subscriptions a certain Mr. Buckley, who in the end absconded, failing to pay over to the Treasurer a sum of £ 27. The Society was thus rendered almost insolvent, and the number of members became much reduced. It was under such depressing circumstances that Dr. Taylor nobly came to the rescue, and undertook to endeavour to extricate the Society from its difficulties by becoming Hon. Secretary. At once the whole aspect of affairs changed as if by magic, the number of members increased at the end of one year from 190 to 288 and to 352 at the end of two years. The financial position was transformed the first year ending with a balance of £ 40 3s. 6d., which at the end of the second year was increased to £ 69 2S. 2d. A highly successful Conversazione continuing throughout a week was held in the Town Hall Assembly Rooms, a series of Literary and Scientific Lectures being held in the evenings, these indeed proved the forerunner of the regular Lectures, which are now an established part of the Society's work. The Report of the Committee for the year concludes with the following statement: The Committee cannot close this Report without recording their grateful acknowledgments to Dr. Taylor for his valuable services as Hon. Secretary, to whom almost entirely is due the unexampled success which has attended the Society during the past year." 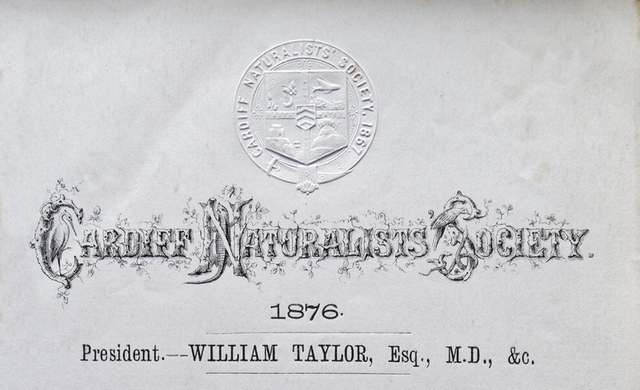 In 1876 Dr. Taylor was elected President of the Society, and as a Vice-President he continued his interest in the Society up to his death. The following is a list of Papers contributed by him to the Transactions, viz. Animals living before man. 1874. The Gower and Doward Bone Caves. 1876. A Trip to the Arctic Circle and the North Cape 1878. Dr. Taylor's death took place on May 8th, 1912, on board the S.Y. Vectis," at Gravosa on the Adriatic, during a tour which he was making in the hope of improving his health.